Whether you’re shopping for dress shoes for the office, casual sneakers, or boots, Cole Haan is the place to head if comfort is your first priority. Now through February 15, you can save an extra 40% on sale styles by using the promo code „EXTRA40“ at checkout. In addition to shoes for men and women, the sale also includes outerwear, bags, and other accessories. 3. Save 25% on Valentine’s Day flowers at The Bouqs Co.
You don’t want to end up buying shriveled up flowers from a gas station convenience store because you waited until the last minute. The Bouqs Co. has beautiful assortments of flowers and right now you can save 25% on them and get them in time for Valentine’s Day. Simply use the promo code „VDAY25“ at checkout to take advantage of the offer. As the maker of the best overall memory foam pillow we’ve tested, Coop Home Goods knows a thing or two about comfort. Now through February 15, you can save 10% on full-price items by using the promo code „XOXOCOOP“ at checkout. 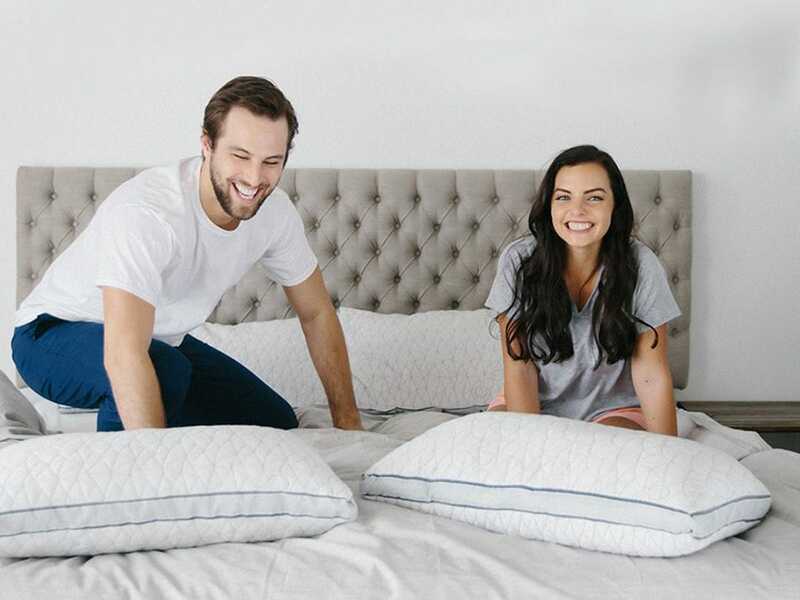 The sale includes the brand’s popular pillows, along with seat cushions, mattress protectors, pillowcases, and more. This Valentine’s Day, premium denim startup Mott & Bow is helping you get dressed in style and comfort. In addition to denim, the brand also sells tops, but from now until February 14, you can get a free long-sleeve or short-sleeve T-shirt with the purchase of any pair of jeans. Simply use the promo code „PERFECTPAIR“ at checkout to take advantage of the offer. In celebration of Presidents Day, online mattress startup Bear is having its biggest sale ever. Now through February 19, you can save $150 on any purchase of $500 or more by using the promo code „PRES150“ or get $300 off any purchase of $1,200 or more by using the promo code „PRES300“ at checkout.